It’s a question that, unless you are a banker, will garner a blank stare from most people. Everyone knows their income, but net worth is a different beast. Mostly because no one has shown you how to calculate your net worth. As far as the road to financial enlightenment goes, your net worth is your starting point, and is your report card along the way. This is your first step in building wealth. So pay attention! You can never be a millionaire, unless you know your net worth. When someone is a millionaire, they are talking about net worth. 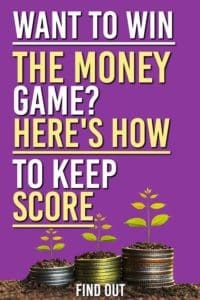 If winning the money game is important to you, then your net worth is a great way to keep score on how you are doing from month to month. In its simplest form, your net worth is everything you own or are owed (Assets) minus everything you owe (Liabilities). It’s like a financial barometer. It measures how well you are doing financially over time. If it’s going up, you are doing better than before. If it’s going down, you need to look at in your finances and make some changes. 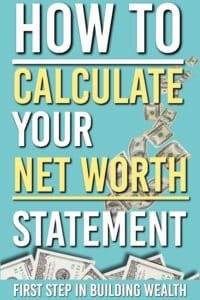 This book taught about financial independence and learning about how to monitor your wealth by tracking your net worth everyday for a month, and then on a monthly basis after that. Over time, you would come to see some patterns developing. I was thrilled with this idea, before this I assumed I was doing good financially, but I never really could tell. Everyone around me was in their first few years of their careers, and well, frankly it felt like I was behind (I would later find out we all feel this way). People were driving newer cars than me, going out to nicer restaurants, and travelling more. I couldn’t help but wonder what the heck was going on?! I made the same money as them but everyone seemed to be enjoying the good life except me. (Side note I know that none of these things help make people wealthy, but at the time it felt like that was what I should be doing to keep up). After I discovered the net worth statement , none of those things mattered as much. Until I clued into the concept of net worth I hadn’t a clue where I was at, or if I was going in the right direction. That’s what the Net Worth Statement is, it’s a money scorecard. This scorecard that lets you know whether or not you are doing great or failing miserably with money. Let’s dive in and get started on a better financial track. Your Net Worth is the difference between what you own (Assets) and what you owe (Liabilities). Think of it like buying a house. When you buy a house, you put a down payment on it. Over time if you have owned it a while it will have gone up in value (hopefully). If you have a mortgage on the house this is what you owe. Getting your net worth with your house is taking the value of the house and taking off what you owe (mortgage). The easiest way to calculate your net worth statement is to break it up into sections. 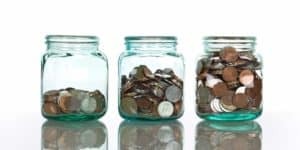 Some of these sections will change every month (like your bank accounts and credit cards), where as others will only change once a year or so (like your house and older cars). These are things that are either cash or can easily and quickly converted into cash or it’s equivalent. Usually what will go in here are your bank accounts, any investment (GICs, bonds etc…) that can quickly be redeemed for cash. Write out your bank accounts and any other items that can be converted to cash quickly. This is where you would have your investments, bonds, stocks, rental properties and such things. Marketable assets are something that there is a market for (That’s a real fancy way of saying that there is a buyer for what you are selling). This is where your long-term investment accounts (like IRA’s, IRA Roths, RRSP and TFSA, etc…) and any investment or stock accounts. I would also include any pensions or cash value of whole-life insurance plans you may have. This one is easy to do, but a little hard to accept. Personal assets are your “stuff” and your stuff usually isn’t worth nearly as much as you have paid for it. When you add in your personal assets, I find it best to include these at a fire-sale prices. From month to month, you will buy things, let’s say a new car. When you drive that car off the lot, it is going to lose some of its value. So the $30,000 vehicle you just bought may only be worth $25,000. If you needed to get money for it right away (or less depending on your vehicle and quality etc…) you would only get $25,000. Other things you may get a deal on and it may be worth more than what you have paid for them (say a used car with a much higher Kelly Bluebook value than what you paid). Still entering in a fire sale price will help keep you honest when you are entering in this amount. Personally, I put down each car, jewelry, collectibles, and then lump the rest into one category. You can be as detailed as you want to be with this one. Personally it won’t change much so a lump sum is easier. They typically split out into two categories Short-Term Liabilities (less than a year) and Long-Term liabilities (everything that’s not short term). Short term liabilities are ones that can be paid off within the next month to a year. These are the liabilities that are going to take more than a year to pay off. Typically your mortgage, car loans and other larger debts go into here. The rule of thumb is to ask if you will be able to pay it off within a year. If the answer is “No” then it goes into Long Term Liabilities. Well done! You have made it to the end of the Net Worth Statement. This is where you take your assets and subtract the liabilities. You will get a number that will serve as a starting point and every month take 10 minutes and calculate it again. If it is getting higher you are doing something right, if it’s going down you will want to figure out why and if it’s staying the same from month to month and you will want to take a look and see why it’s not moving. As good as all this net worth stuff is, I uncovered something even more powerful than this, you’ll be able to read about it here. 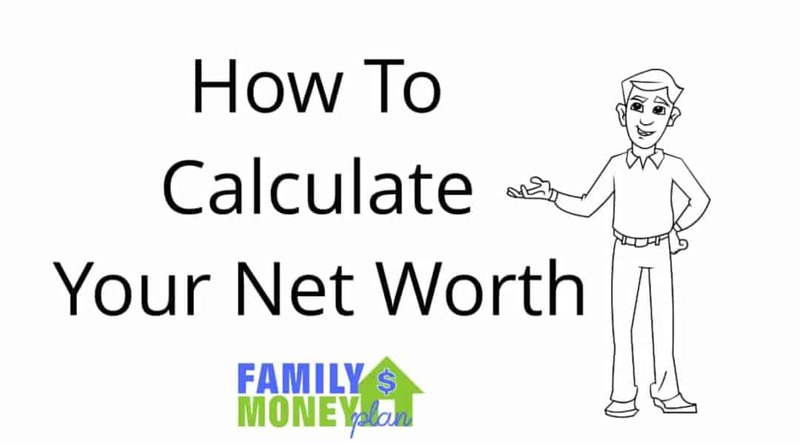 Here’s a quick video that summarizes how to calculate your net worth. Most financial advisors will tell you that once a year is good. I believe that the monthly is by far better. Like I mentioned previously, when I started out I did it everyday for a month. It gives you a better idea of how things flow. As an added bonus it trains you to fill it out quickly. You should always be keeping an eye on your finances. If you look at it every month you will know where you stand and can tell quickly what you are doing right and wrong. So my answer is monthly, definitely monthly. 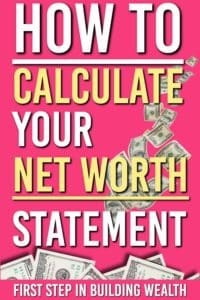 If you would like to sign up for our newsletter and Immediately get a free copy of the Net Worth Statement I use along with a walk through video not available on this page, simply submit your email below and I will send you the same spreadsheet I use. Otherwise you can use the free service Personal Capital. They keep your net worth updated for you absolutely FREE. When you make it through your net worth statement the first time, a question naturally will occur. So here is a few guidelines on where your net worth may land and some guide posts along the way. The book gives a great insight into what makes most millionaires, and it was a personal launching pad for me. It’s a little on the dry side , but the take away knowledge was huge. So if you are 30 years old and making $100,000 a year your net worth should be $300,000 (30 x 100,000/10). If you are higher than that great, if lower you know what to aim for. This is a good idea, but it has it’s flaws. For instance: if you just started making this amount it would be nearly impossible to get your Net Worth to this amount. It’s a good rule of thumb, but everyone’s situation is different, I found it works best with people who have been in a job for a long time around the same pay. This is when you owe more than you own. Hey it happens! School loans, excessive shopping, failed businesses, and a million other reasons. The point is everyone starts somewhere and this is just a starting point for you. When you find yourself here, the best thing to do is to set your sights on.. This is when your Net Worth is 0. If you have been in a negative net worth it’s time to celebrate. Congratulate yourself with a pat on the back and start focusing on the next level. I can think of several people I know that live their entire lives. They make their money and they spend it, over and over , month after month, year after year. They never clue in to the idea of wealth or have never been educated on the topic and that’s why they never change. Luckily you are already destined to be beyond this because you are educating yourself. Well done! This was a big one for me when I was starting out. 4 digits! Wow! I remember saving and saving to get there when I was younger. First jobs and side businesses helped. This was when I started to get more entrepreneurial with my efforts and realized that trading my time for money wasn’t the greatest idea. Memorable marker- As a side note, when I got a net worth of $50,000 I realized that all I needed to do was replicate what I had been doing 20 times and I would be a millionaire. 6 Digits! Way to go, this is a big step because the next digit puts you in to an elite class. You have clearly demonstrated some financial smarts. Make sure to celebrate this is a huge milestone. WOW $250,000 is an awesome stepping stone, at this point you have usually been able to demonstrate some financial smarts, you have a plan in place and are following it. Keep up the good work! Hitting this level is huge for a lot of reasons. It’s clear you have been working at it (possibly over several years, depending on when you started tracking everything). 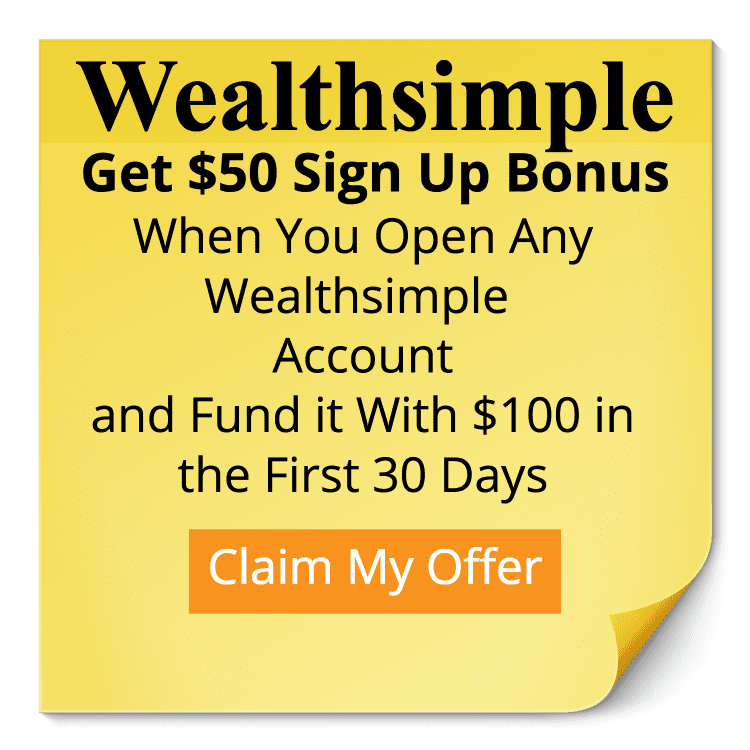 You have a keen sense of wanting to be wealth and now you just have to the same thing one more time and you will be in the Millionaire club. $750,000 You are getting close, so close you can taste it. Steady is the name of the game, just keep doing what you have been doing and it should all work out. This could be your starting point or your last stop before become a full-fledged Level 2 Millionaire. See Levels of Millionaires to learn more. You now have a net worth of $1,000,000 and are already climbing to bigger and better things. Good for you! As you progress through these levels in life. Always take time to celebrate every achievement along the way. Getting to be a Thousand-Aire was huge for me. Probably because it felt incredibly hard to do at the time. Find a way to celebrate and if you can’t think of anything here is a High-Five for keeping on the road to financial freedom. For more on my personal story about how I started to climb the Net Worth ladder you can read about it here. If you are already into the Millionaire category, first of all congratulations! Second you may want to look at our Levels of Millionaires for some new targets to shoot for. That’s a great goal Nicole. When you realize that most of us will earn more than $1,000,000 in our life you start to think about how you can keep more of that hard earned money, rather than letting it slip through your fingers. I’m glad you liked it.